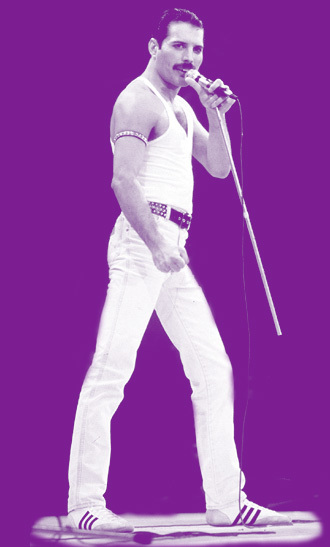 Welcome to QueenVault.com - The online resource for Queen song versions, B-sides, remixes, and unreleased tracks. The Bohemian Rhapsody movie soundtrack will be released on October 19, 2018. 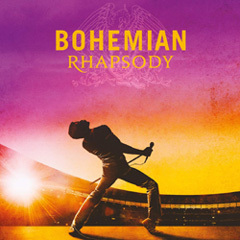 Formats are limited to CD, Queen Online Store Special Edition CD and digital download. The 22-track album is a mixture of the band's biggest hits, live performances (some previously unreleased) and new material. The album opens with Brian and Roger's take on the famous 20th Century Fox Fanfare. Also of note, a newly recorded version of Doing All Right features Brian and Roger teaming up with Smile bandmate Tim Staffell. Previously unreleased live versions of Fat Bottomed Girls from one of the 1979 Paris concerts as well as Love Of My Life from Rio 1985 are nice additions as well. Five songs from the band's legendary performance at Live Aid are included here for the first time on CD. Don't Stop Me Now... revisited features Brian adding a new guitar performance to the 1978 multitracks to create a modern take on the Mercury-penned classic. A "movie mix" of We Will Rock You will blend the studio version and a live performance. The CD will be available on Virgin EMI around the world, except for the US and Canada, where Hollywood Records will be handling distribution. 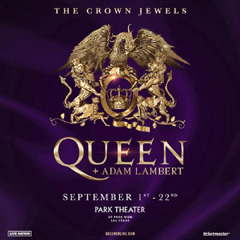 Queen + Adam Lambert are bringing their high engery live show back to the United States this September. This time the band have staked claim in Las Vegas, Nevada for a 10 date residency at the MGM Park Theater. Entitled "The Crown Jewels", the show is made up of mostly greatest hits, with a few other favorites included. The stage and lighting rig are very similar to the 2017 World Tour, including appearances by the News Of The World robot. Drawing inspiration from the city and it's most famous performing resident, the band have appropriately added Heartbreak Hotel to the set. Concerts run from September 1 through September 22. The new, state of the art, 5,000 seat arena brings the audience closer than ever to the band. The intimate setting brings a new dimension to the show and the overall experience. As expected, all new merchandise and VIP packages are available.